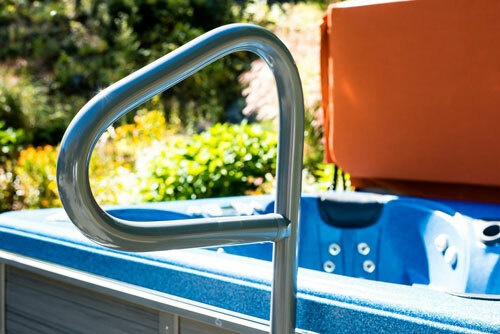 SpaEase Safety Rails are built to retain their beauty for the life of your hot tub and continue to provide a safe and convenient entrance and exit. 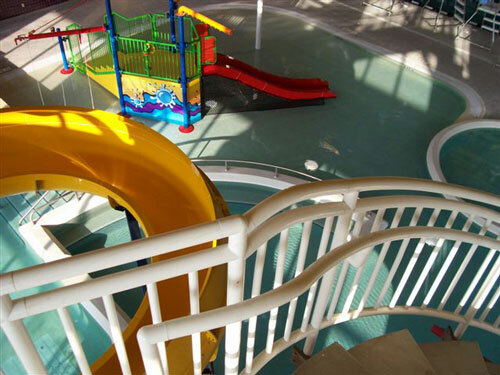 A galvanized steel pipe interior provides structural integrity and the high impact ¼” thick polymer exterior is guaranteed not to fade, discolor, rust, pit, or scale. 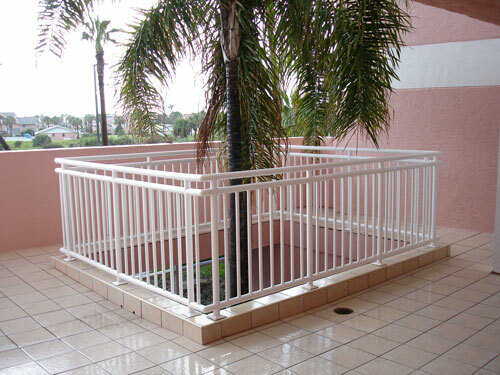 Our rails are designed to easily absorb high impact occurrences. This allows us to provide you with the best and longest warranty in the industry. 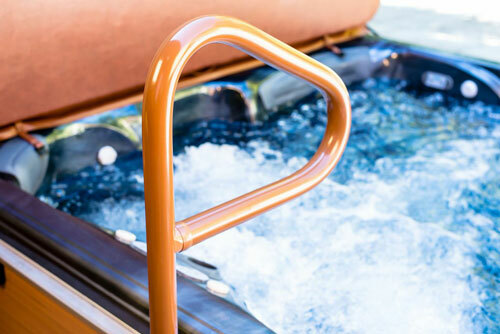 Only SpaEase Safety Rails offer a wide selection of colors so you can match virtually any hot tub cover or cabinet. 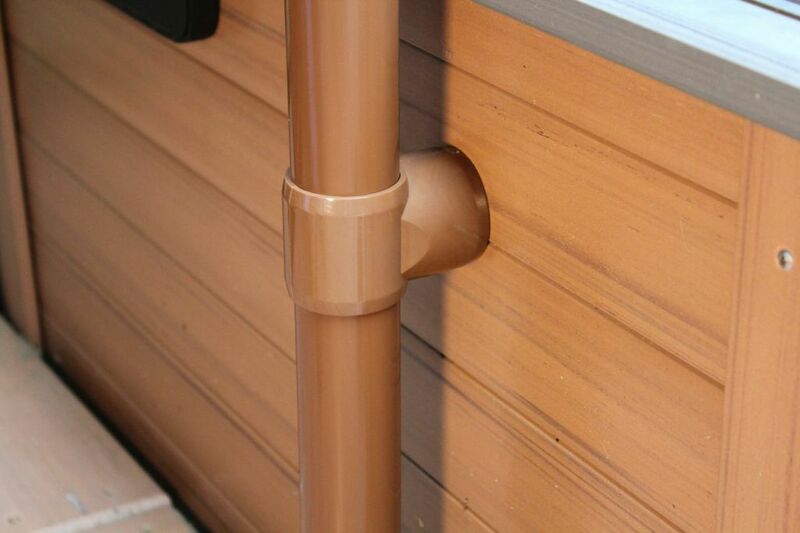 Our rails have resisted fading or discoloring in the harshest outdoor environments for 25 years and counting. And because the color is a ¼” thick minor scratches are hidden and can even be cleaned and virtually removed with the use of a low abrasion cleaning product. To add to the beauty we even match our bases to the rail color on Black, Bourbon, and Graphite Grey colors. Beige, White, and Taupe colors come with black bases. 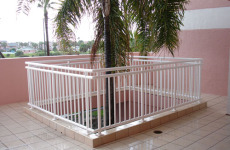 Most traditional safety rails use thin aluminum painted tubing where scratches can be highly visible and difficult to repair. 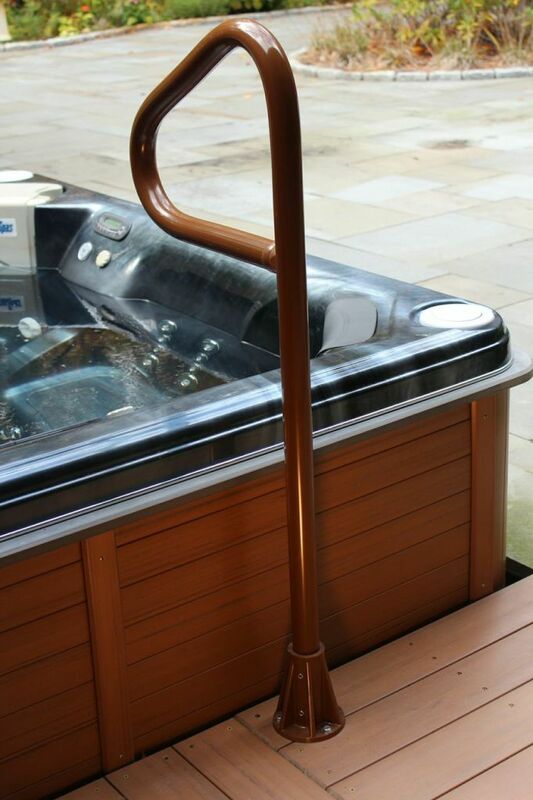 For both Safety and Convenience we have designed a unique system to turn the safety rail into and away from your hot tub. 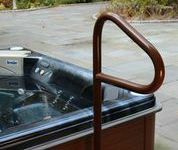 Slightly lift the rail and swing it 180 degrees and it will firmly lock in place allowing you to enter and exit your hot tub safely. Competitor rails require you to either exit your hot tub or reach over and turn a screw to safely lock the rail in place. Added Benefit: For those not wanting to view the safety rail when not in use or those who only require it for on occasion you can lift and remove the rail leaving only its base support. 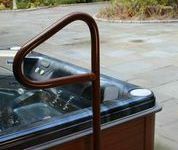 For added safety all Spa Series models include one or two (depending on height) Slip Tee Mounts that attach the rail to the spa’s cabinet. All Deck Mounts are available with Slip Tee Mounts. For added safety we attach the curve arm of our safety rail to the vertical portion. This provides less movement when pressure is exerted on the rail. 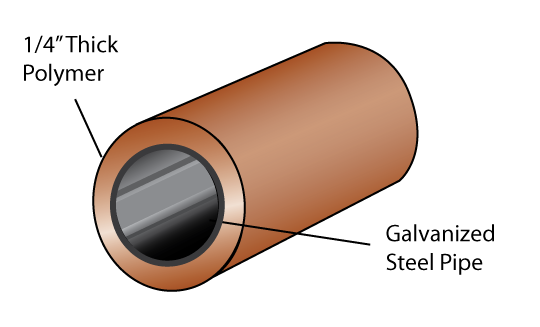 For safety most competitor’s metal products often require electrical grounding. SpaEase rails enclose the entire steel interior with polymer providing safety without the expense and burden of electrical grounding. SpaEase Safety Rails have been given the “A Greener Product LLC Certification Seal” confirming that it complies with the LEED and NAHB and may earn credits that contribute to certification under green building rating standards. 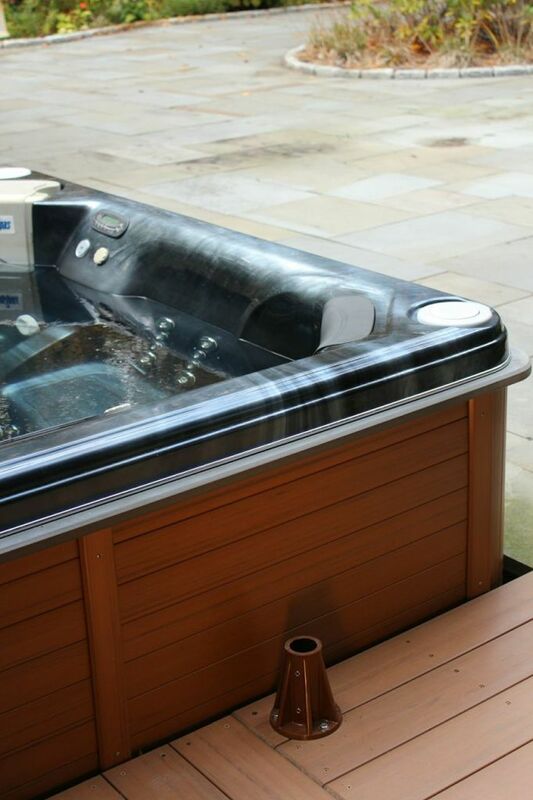 SpaEase is best choice for hot tubs located in sunny outdoor environments. Our unique polymer exterior (even in the color black) remains cool to the touch and provides a silky smooth feel to the surface. SpaEase Spa Safety Rails are cleaned before they leave the factory but may experience light scuffing during transport or installation. To clean use only low-abrasion cleaners such as Original White “Soft Scrub” or “VIM”. Apply with a clean, soft cloth, then buff clean. Excessive residue may be removed with water. 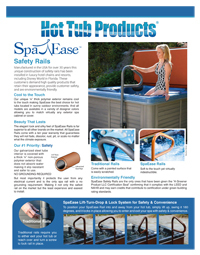 SpaEase Safety Rails are manufactured in the USA by Saftron Manufacturing LLC. 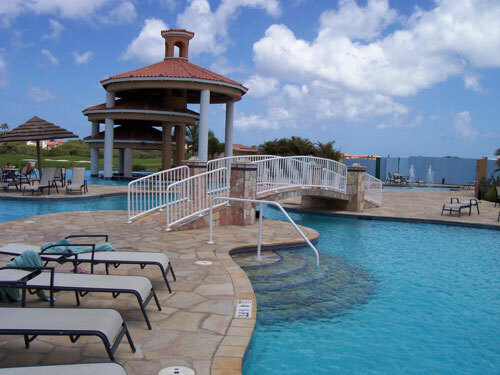 Saftron has been manufacturing railing and decking products made of steel with an injected molded polymer exterior for marinas, resorts, hotels, and variety of commercial facilities. These customers demand products that are rated the highest in quality, longevity, visual appeal, and environmentally friendly. 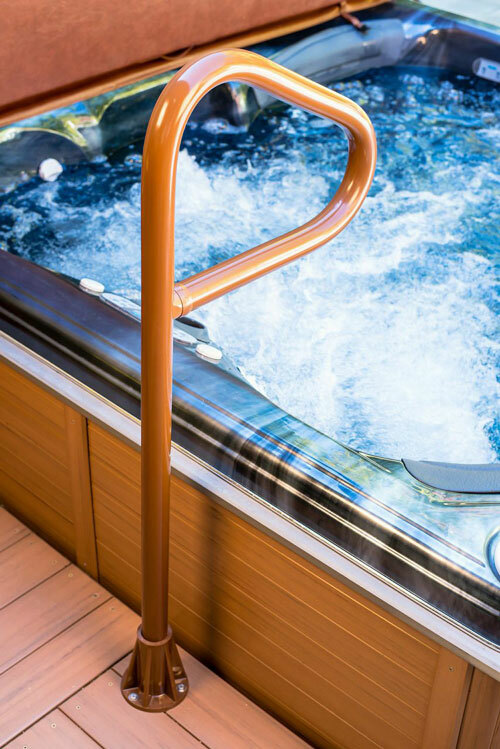 SpaEase Safety Rails are available in both a Deck Series and a Spa Series and can be custom ordered to suit virtually any installation. The Deck Series is available in 3 Models, each identical but offering a different height. Or you custom order any to virtually any size to fit your needs. 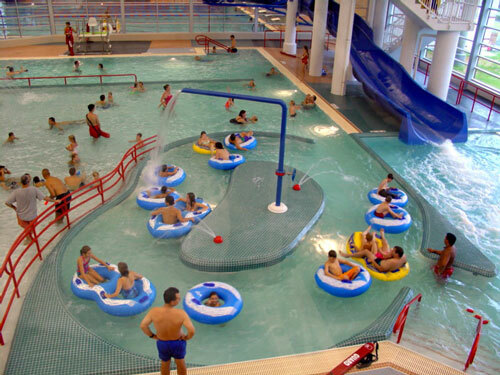 All are designed to be attached to a deck or any other permanently secured surface. 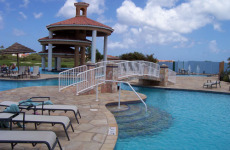 Just like the Spa Series the Safety Rail can easily be removed and replaced. Helps provide additional support for Deck Series models. The Slip Tee Mount can be located anywhere along where the rail meets the cabinet. It is available in matching colors and our unique attachment system eliminates the view of any screws or bolts along with the possibility of a rusted or tarnished appearance in the future. Included only on SFF-48 and SFF-59 models. 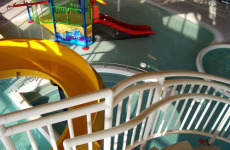 The SpaEase Safety Rail Deck Series comes included with a Mounting Base in a matching color. 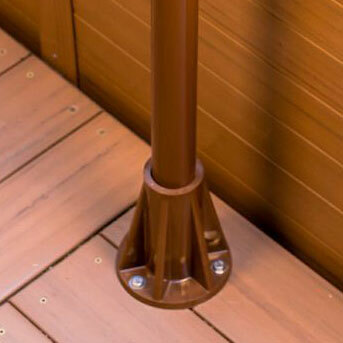 The Mounting Base is standard on all Deck Series Models. This unique base helps create our Lift-Turn-Lock system which helps provide added safety by easily locking the rail into the base as you turn it 180 degrees. 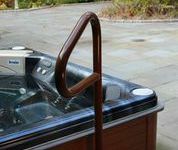 SpaEase offers the perfect safety rail for all size hot tubs and is available in 3 Models, each offering a different height. Or you custom order any model to virtually any size to fit your needs. 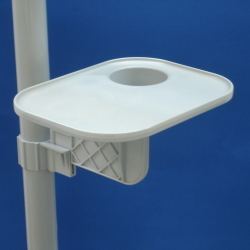 All Spa Series models come standard with a Slip Tee Mount built into the Under Bracket Mount. 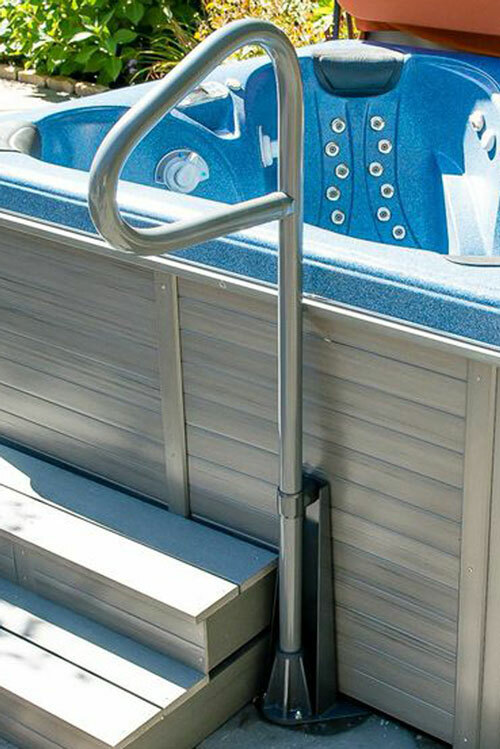 Our Swim Spa Rail that sits 69” off the ground also comes standard with an additional Slip Tee Mount for added safety. 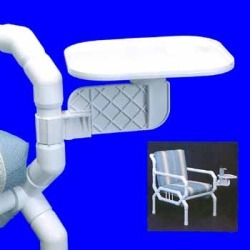 Only SpaEase offers hot tub safety rails with under bracket mounts that will fit on hot tubs over 40” in height. 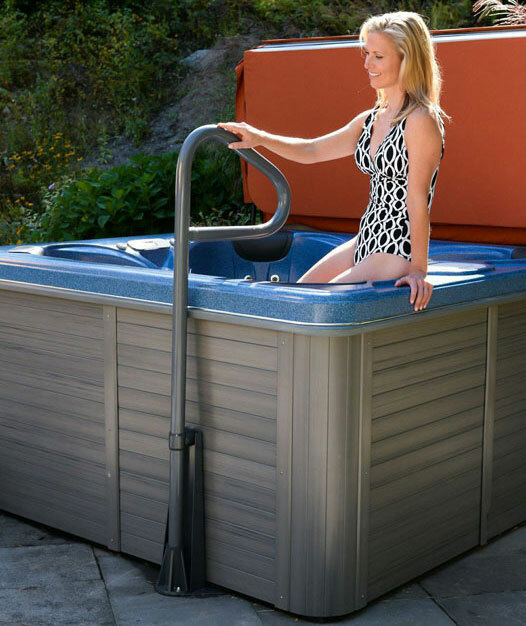 Our SUB-69 Model is ideal for swim spas up to 54”! 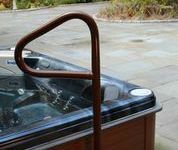 Our Under Bracket Mount is constructed of steel and powder coated to match the color of your spa rail on Black, Grey, and Brown models. 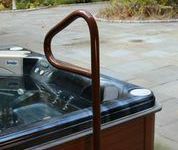 By simply sliding the mounting bracket under the spa helps secure your safety rail. 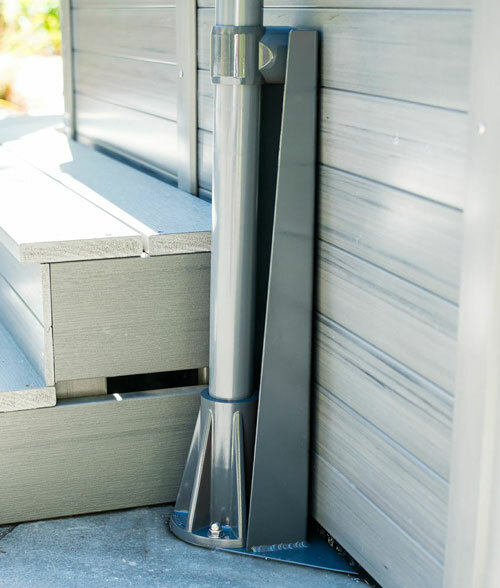 It also comes with the identical Mounting Base standard on our Deck Mount Series providing the user our Lift-Turn-Lock system on all models. 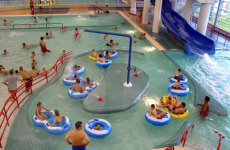 For those who require a special height Hot Tub Products makes available custom ordering. Any model rail can be ordered in length up to 12” longer or up to 12” shorter for a nominal charge.